You might have heard that crap is used as an interjection when something goes wrong. This is because, colloquially and somewhat vulgarly, crap means ‘excrement’ or ‘the act of defecation,’ and ‘junk or litter.’ Also very colloquially, crap can mean ‘nonsense’ or ‘a lie’. 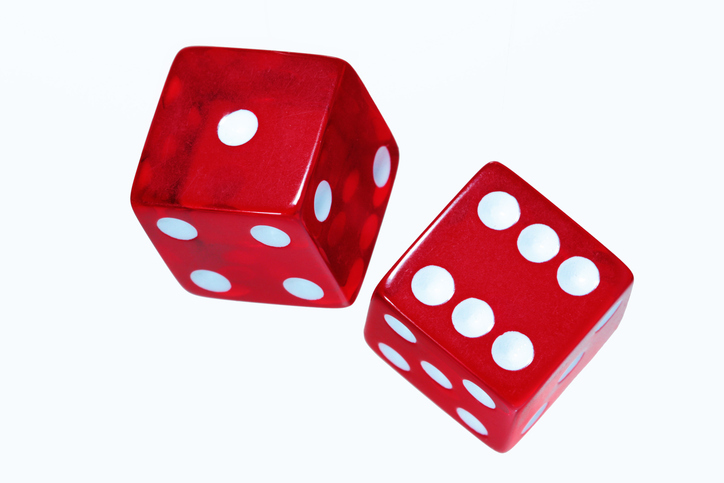 As a verb, it means ‘to defecate.’ However craps, always with the “s” on the end, is also a dice game where players gamble on the outcome of the roll. In this game, a crap is a losing throw, in which the total on the two dice is 2, 3, or 12. "Oh crap!" Mary exclaimed, as the plate hit the floor and shattered. Joe stepped in some crap on the sidewalk. The cat's taken another crap in the garden. Irene told the teenagers to tidy up; she was sick of them leaving crap all over the house. I never said that and you know it! You're talking crap. If your dog craps on the sidewalk, you should pick it up and put it in a bin. There were several people shooting craps in the casino. Alf swore when he threw a crap. Crap is also an adjective meaning ‘rubbish, no good,’ so you might say, “That film was crap.” or “I’m crap at maths.” It is used more often in the UK. In US English, the related adjective crappy is often used instead (you can also use crappy in UK English). Crap dates back to the early 15th century. The late Middle English noun crappe meant ‘chaff,’ and more specifically, ‘grain that was underfoot in a barn.’ Its origin is disputed. Some linguists believe that it comes from the Middle Dutch krappe (meaning ‘anything cut off or separated’), while others think that it comes from the Middle French crape (siftings), which can be traced through the Old French crappe to the Medieval Latin crappa, crapum (chaff). The meaning expanded in the late 15th century to ‘weeks growing among crops’ and ‘residue from renderings.’ By the 18th century, it had also become slang for money. The meaning of ‘excrement,’ and it accompanying verb, meaning ‘to defecate,’ date back to the mid-19th century, and all the slang senses we recognize developed from these. The game craps first appeared in US English in the mid-19th century. It is unrelated to the other meaning. Instead, it comes from the Louisiana French dialect, the first place this game seems to have appeared in the US. The term craps was an 18th-century French corruption of the English word crabs, which was slang for a throw of two or three (the lowest possible throws).